Faire le clown n'est pas danser. Her sheer joie de vivre is contagious! Anneli Alhanko is actually Finnish born but she was dancing many years in Sweden at . She is one of twelve in the world with the title prima ballerina assoluta. Of course Estelle is just clowning there in pictures. She is just starting to have lessons and those lessons must be at first just playing. I think that Estelle is old enough to stand still.Perhaps she is not only a clown -she also can have a diagnos on something. 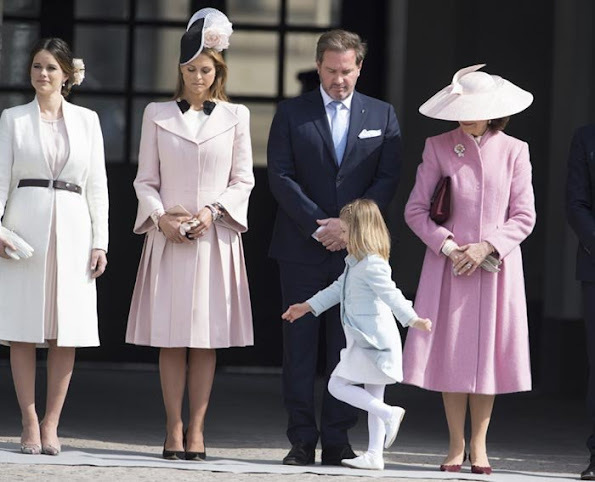 Why do you think instantly that Princess Estelle was diagnosed with some kind of illness? 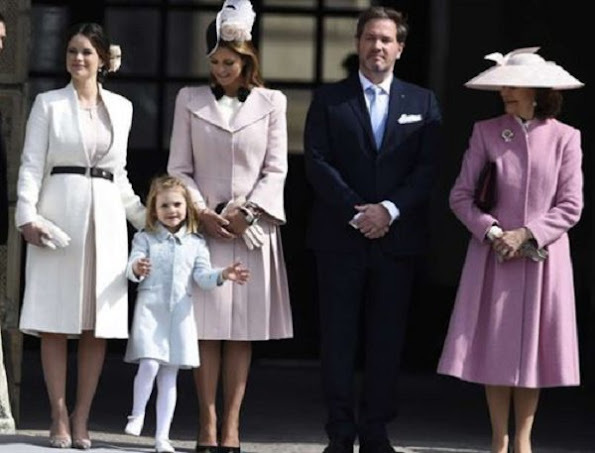 Before was Princess Leonore and now Princess Estelle. It is you who is mentally disturbed and others who think as same as you! Please keep in mind that we are talking about little children!! Its perfectly normal for young children to have boundless energy and they would rather run around than stay still for long periods (especially if they have audience to perform for ;) ). Its so disgusting when 2-year or 4-year-old child is expected to behave pretty much like little doll--impassive and listless--and when they behave differently, they are given some kind of diagnosis or they are called spoiled child. Weird. Karen, how many children you have who wear standing still long times at age of four? I do not believe how somebody can write such a comment about a child who is actually behaving almost all the time like many years older child. And about this Kings Birthday when those pictures were taken, there are dozens of pictures from the same occassion where Estelle is standing still. I think she was much more standing and behaving well as she usually does. But this blog and medias of course liked to show those cute pictures where she is clowning. Photographers may even have asked her to play at the end of situation when this clowning really was. OP, my youngest child was just like Estelle - and Leonore to boot!! - always inquisitive, active imagination, could not sit still because he had to explore his surroundings, etc. Every child is different. My older son is bookish, serious, quiet, etc. Total opposite. Estelle is a CHILD. A normal child who has to endure long engagements, and she does so with grace. Way to go Vikan and Daniel!!! I thought it was utterly enchanting. In fact I've been trying to find a video of it but I can't. She's a star! In Sweden we have an expression - spring i benen (run in the legs). Thats what Estelle, Leonore and many other kids have. old enough?? really?? just because shes royal doesnt mean shes not a kid, she is a kid, shes behaving like one, thank God!!! What little girl doesn't love ballet? Silly question! I think Estelle is a remarkable child, she is beautifully behaved and is about as cute as little ones come!